On Tuesday, EA announced a new expansion for The Sims 4. 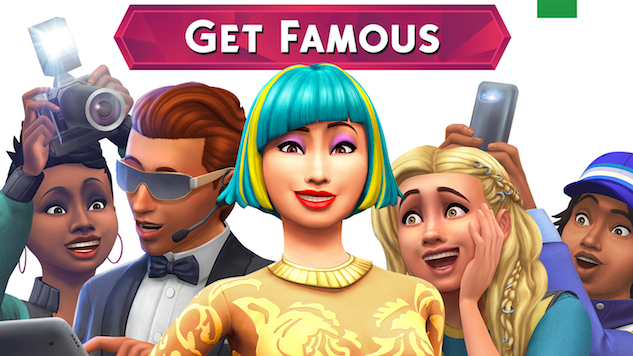 The new expansion, titled Get Famous, gives Sims the option to pursue careers in acting, become celebrities and—wait for it—get famous. On the road to stardom, aspiring Sims can go to auditions, memorize lines and hope to land a commercial or TV gig, and eventually star in a blockbuster. Afterwards, players can take their Sims to A-list parties, schmooze with the big leaguers, and outrun the paparazzi and starstruck fans. There’s even an option to livestream a Sim’s day-to-day life and become an influencer, “giving other Sims maximum #FOMO,” per EA’s press release. New neighborhoods are coming with the expansion, as well. Del Sol Valley gives players the option to start off in Mirage Park and “work their way up to a glamorous mansion in the hills of The Pinnacles.” Naturally, while spending time in Del Sol, Sims will constantly be judged by their chic outfits and ostentatious homes; that all factors in when it comes to getting famous. Start the road to glamor on Nov. 16, when Get Famous hits shelves, and check out the trailer for the expansion below.